The Contact-water Control System with 25m lines offers the latest in releas features, a clean control bar design and sa simple eay-to-use trimming system. 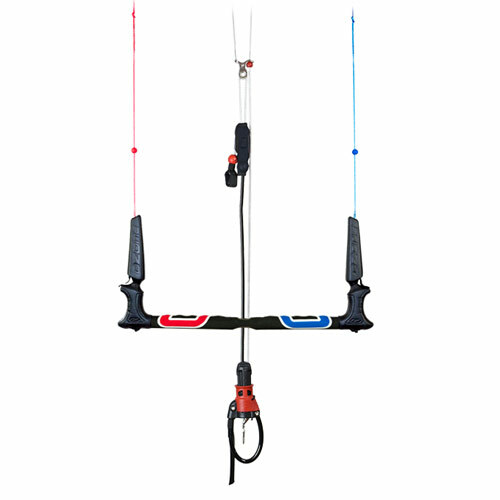 Anti-twist Flag Out Line and Spinning Handle –The flag out line running through the Megatron & kite leash attachment at the bottom keeps the leash tangle free when doing rotations and manually unwinding the centre lines using the Spinning Handle. Soft Bar Ends with Hide-away Elastic Line Retainers – Soft bar ends for comfort and are less likely to damage lightly constructed boards. Hide-away elastic line retainers keep wound lines secured. Low Friction Centre Piece – The control bar features a low friction centre piece designed to reduce wear. EVA Grip - Lightly sanded with ergonomic finger bumps providing the ultimate bar grip. Simple, easy and clean bar. I like how minimalistic it is. 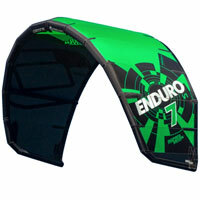 Its has a comfy grip, light flouters, spongy bar ends, quick and easy safety release. 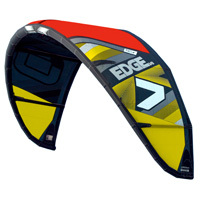 The trip strap above the bar is short and its a bungy, so when using the de-power its does not hang down and bother you. The swivel is at the chicken loop, and makes it easy to untwist the front lines. Easy simple, comfy, and durable 4 line bar. I highly recommend it.